The new-age Via400X Anti-Gravity Treadmill is a product of industry-leading innovation and technology in athletic fitness and rehabilitation. Unlike the vast majority of traditional rehab approaches, this unique product from AlterG keeps you on the move from the start! Whether your motion and activity are limited due to acute injury, chronic issues, age, weight, advancing health problems, or deconditioning, this is a wonderful product to help you move forward. Using Air-Pressure Unweighting Technology patented by NASA, this treadmill will help patients to recover, athletes to enhance, and people of all fitness levels to improve their health. 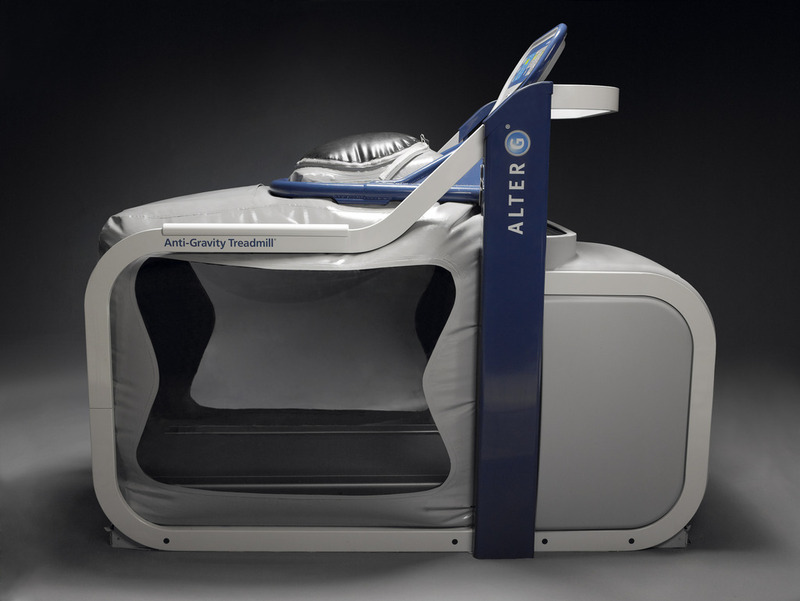 With over 13 years of research and product testing, AlterG provides unprecedented experience to the rehabilitation market with the new Via Anti-Gravity Treadmill. Through the data-driven body weight supported automation system, this product makes it easier for athletes and patients and to improve in real time. The Stride Smart gait analytical system measures gravitational load and the visual feedback system allows you to interact with the machine through the touchscreen cockpit during your session. This real-time interface helps to regulate several parameters to ensure optimal levels of rehabilitation and performance according to your needs and endurance. A Video Monitoring feature provides a live screen for film of leg and foot placement, which allows you to see and gain valuable feedback from every movement you make. Your experiences are recorded in your personal automated database to give you a better experience each time you use the VIA400X from Alter G. This interactive system adapts to your weight bearing capacity by balancing and reducing the pressure on sensitive joints while protecting overuse of injured areas. Another unique feature allows the therapist to set the walking or running speed along with regulating the step length, which ensures proper stride and reduces the chances of falling. Additionally, through the interactive interface, the patient can record and submit their level of pain at each setting, which aids the system in smartly stabilizing the right setting for you, thus minimizing your pain. 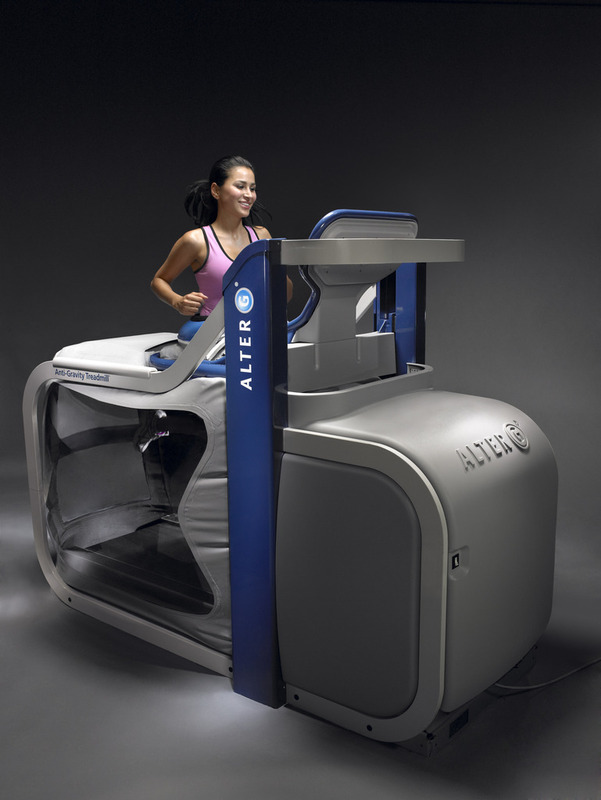 The AlterG VIA400 Anti-Gravity Treadmill has served in the effective treatment of many conditions. Here are some of the common conditions that we address at Pro Physio Bozeman. Athletes are able to exercise during rehab to maintain training progress, form and fitness levels. The AlterG technology helps injured athletes, who previously would be forced out of training and into crutches, walking boots, or inactivity and allows them to maintain their Cardiovascular Fitness through otherwise painful and frustrating healing times. A major plus is preventing bad habits during the rehabilitative process, such as improper gait patterns and and poor biomechanics, which could develop from trying to walk or run too early under load, and can be damaging over time. Many world class organizations have used the Alter G Anti Gravity Treadmill for the training of world’s best runners and athletes with effective results. The VIA 400X Treadmill provides a variety of injured patients with pain-free therapy through its unique pain management system. It helped build confidence in patients with ongoing pain and disabled persons by helping them achieve their targets and regaining their ability. Motivation and will-power of patients improve with the help of the Alter G Treadmill and become the key factors in their treatment. Alter G Zero Gravity Technology aids patients with Chronic and Debilitating Conditions including, Pediatric Cerebral Palsy, Multiple Sclerosis, Parkinson’s Disease, Rheumatoid Arthritis, and Degenerative Joint Disease by providing them an exciting new and attainable Physical Therapy avenue. With the body unweighted, movement, agility, and freedom once lost may be felt and gained once again. As patients view their foot placement on the interactive screen, they gain feedback to effectively control movement which is essential for to maintain motor health. Despite disability conditions, patients find AlterG Therapy extremely engaging and fun. People who have suffered through severe accidents and injuries use the AlterG VIA 400X Treadmill to recover from their injuries faster and more completely by providing them the unloaded movement and pain-free progression to strength they need. People with weight issues often find running and cardio difficult, demanding or even impossible. Overweight patients have benefited a great deal with the AlterG, as it allows them to run by setting desired apparent bodyweight. This whole new experience of flying in the air and moving once again, may just give you the motivation to fight the challenges and work for your health once again. Athletes who are injured or sick, being unable to continue their typical workout programs find the AlterG a great way to maintain and advance their workouts while pacing their recovery. Cases of Stress Fracture, Shin Splints, Tendonitis, Tendonosis, Bursitis, Plantar Fasciitis, and several other kinds of fractures and painful injuries have been shown to have amazing results with the AlterG VIA 400X. Senior Citizens who find it difficult to workout due to old age cherished their ability to practice daily cardio that this product gave them. It helped them set the right parameters for their body weight that they feel comfortable with, and easily keep themselves on the move.